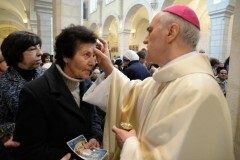 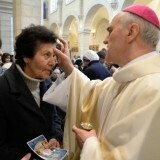 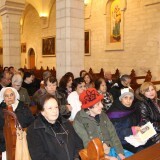 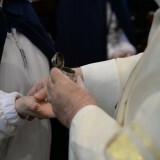 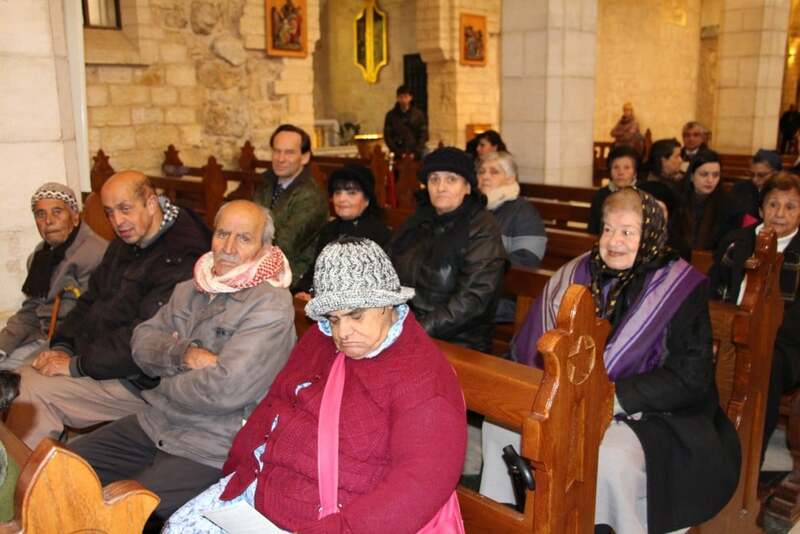 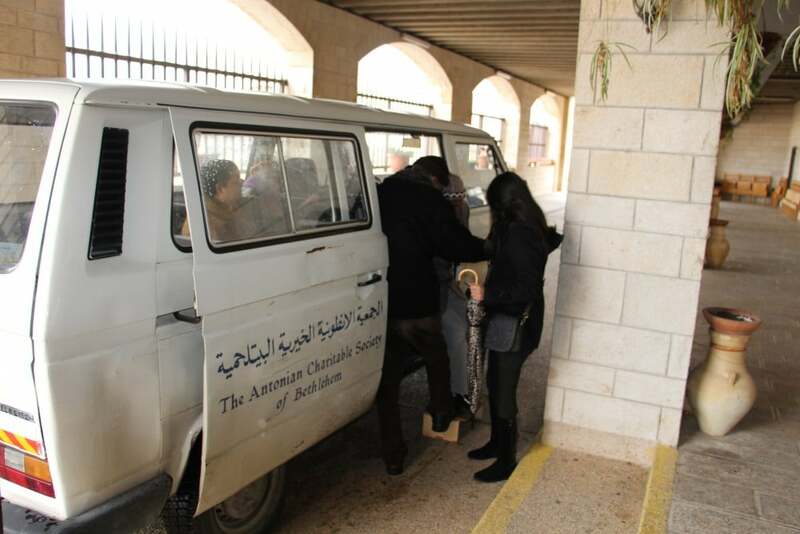 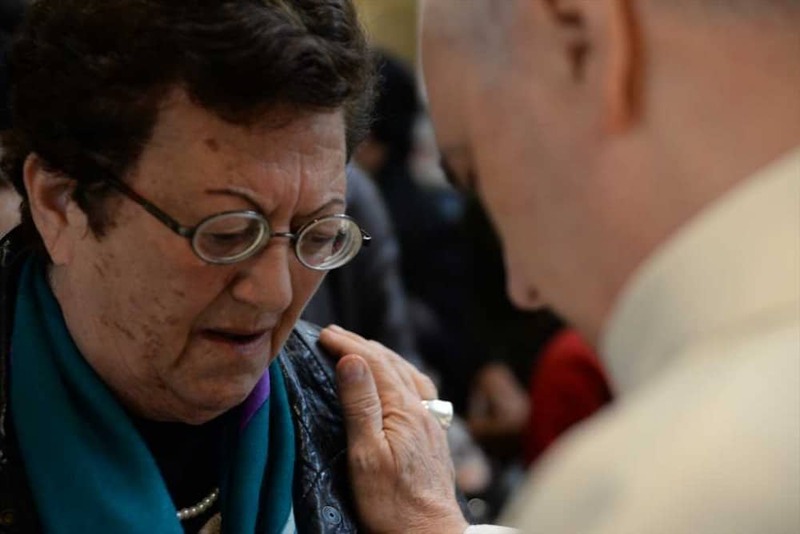 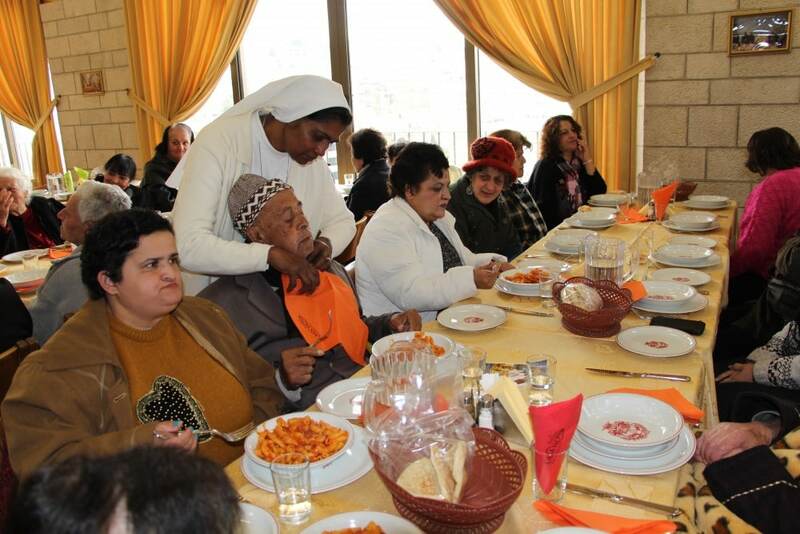 home / Multimedia / The Holy Land in news / Bethlehem: the elderly of Antonian Charitable Society celebrate ..
Today 11 February the 24th WORLD DAY OF THE SICK 2016 is solemnly celebrated in Nazareth. 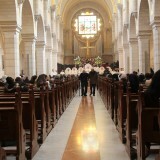 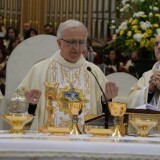 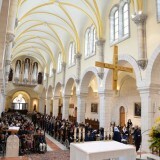 In the meantime, various celebrations took place in the Holy Land. 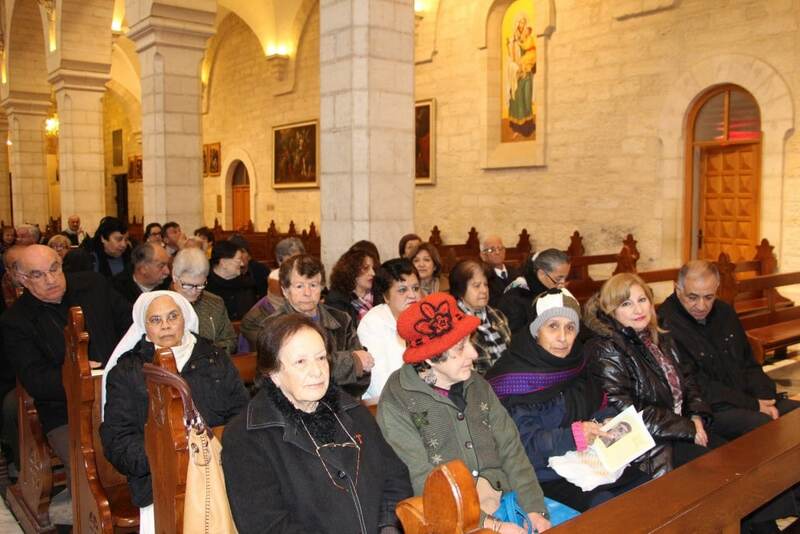 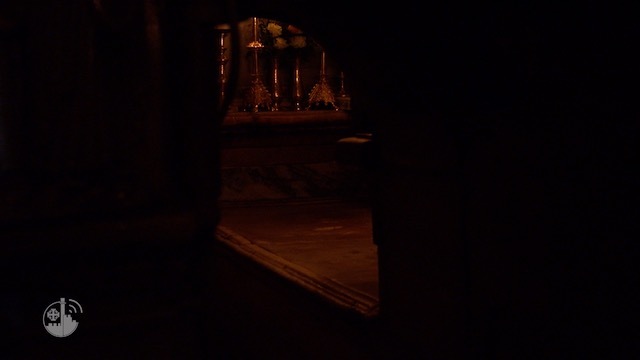 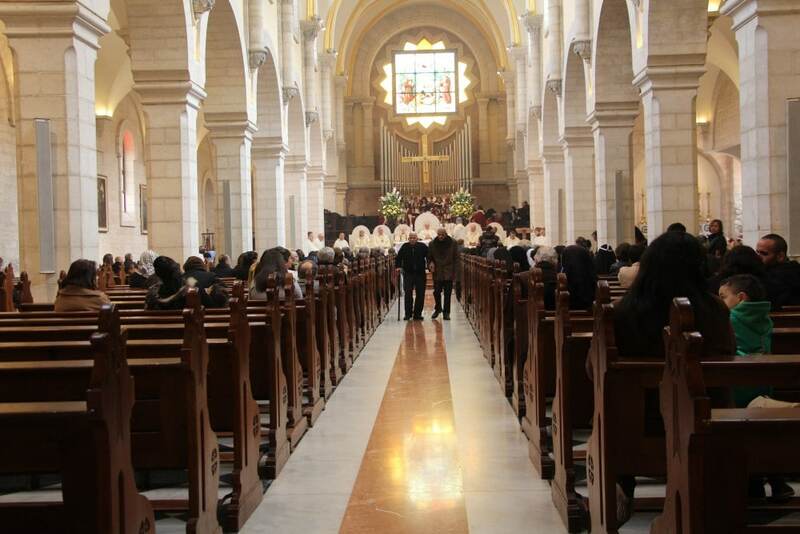 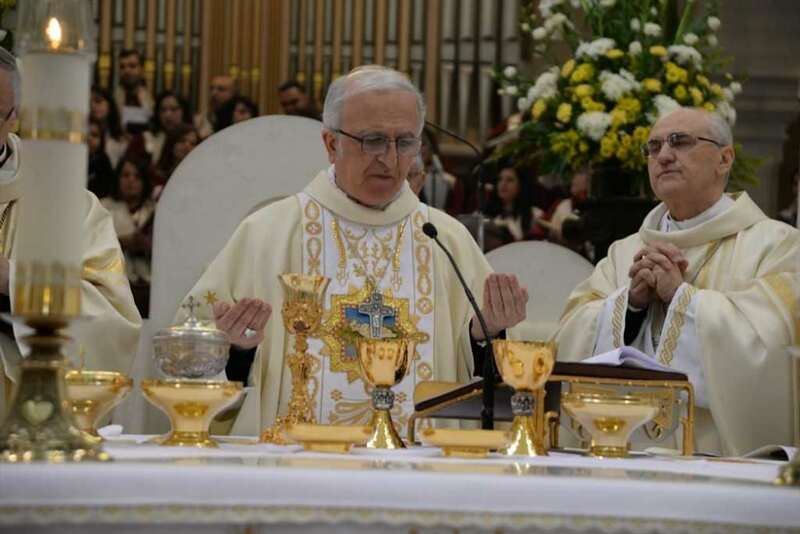 On Monday His Eminence William Shomali, Archbishop of Jerusalem and patriarchal vicar, held a solemn mass in Bethlehem in the Church of St. Catherine, together with a representative of the Pontifical Council of Rome. 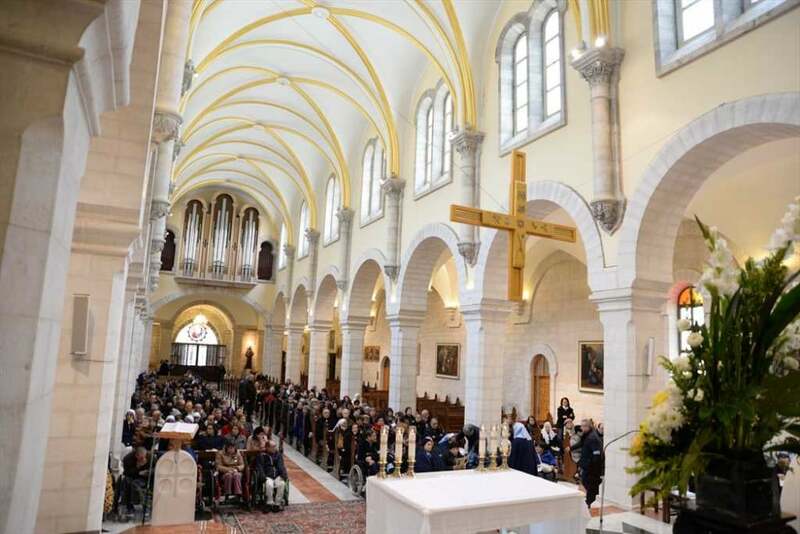 The most touching moments were the reading of the Gospel in Syriac by His Eminence Boutros Moshe, Bishop of the diocese of Mosul, Kurdistan and Kirkuk, and the anointing of the sick with the holy chrism. 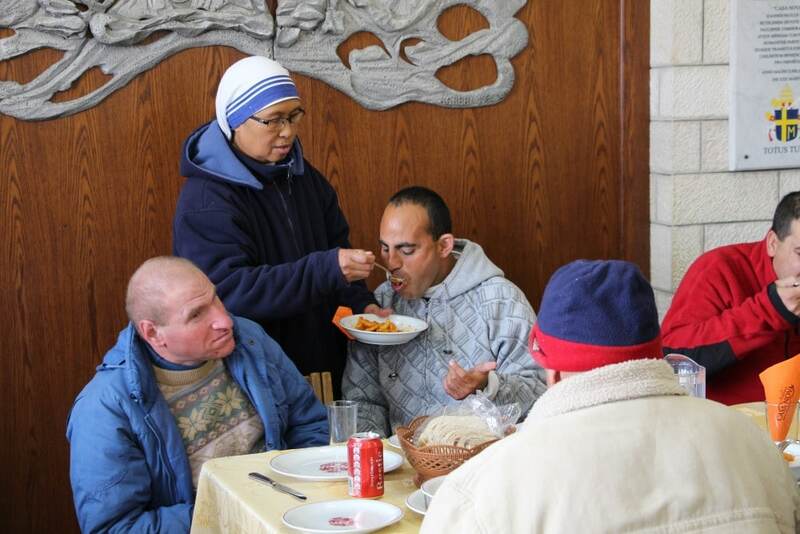 The focus of the homely was the theme of the day: Entrusting Oneself to the Merciful Jesus like Mary: “Do whatever he tells you” (Jn 2:5). 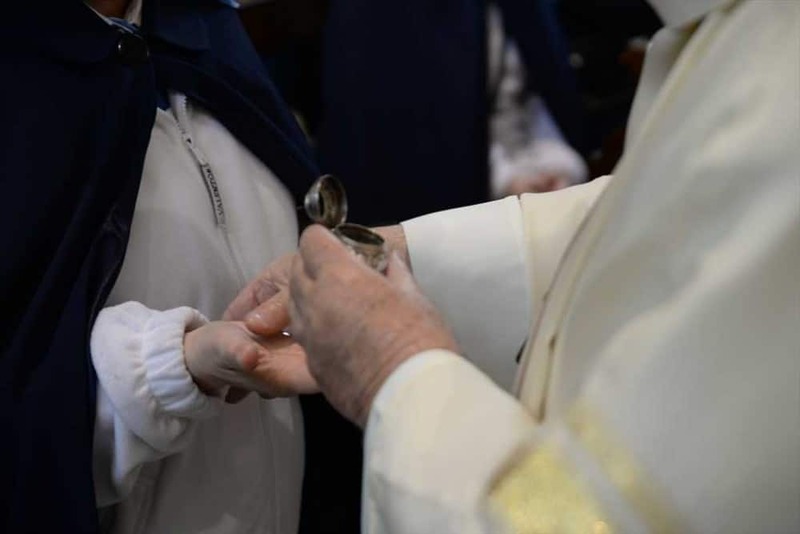 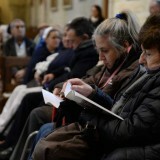 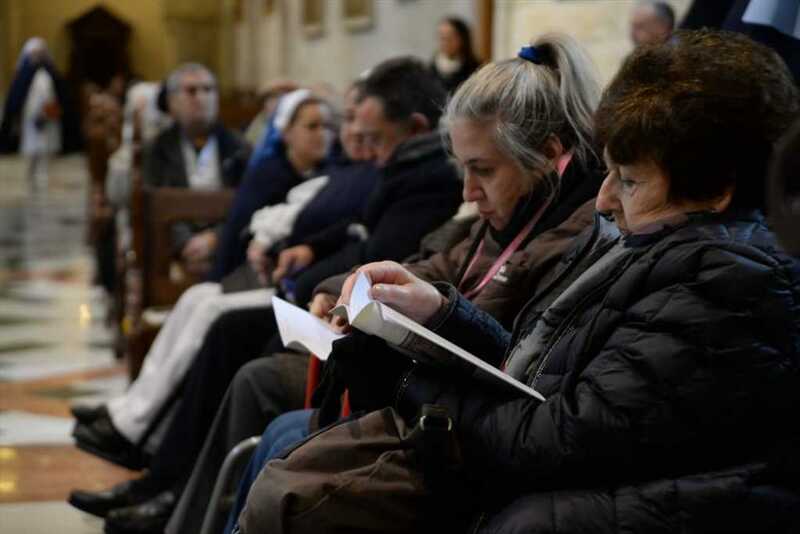 The Holy Mass was attended by many people, and especially by the elderly women of the nursing home of the Antonian Charitable Society, together with the members of the Elderly Club who usually meet on Monday and spend the day together. 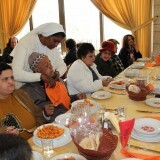 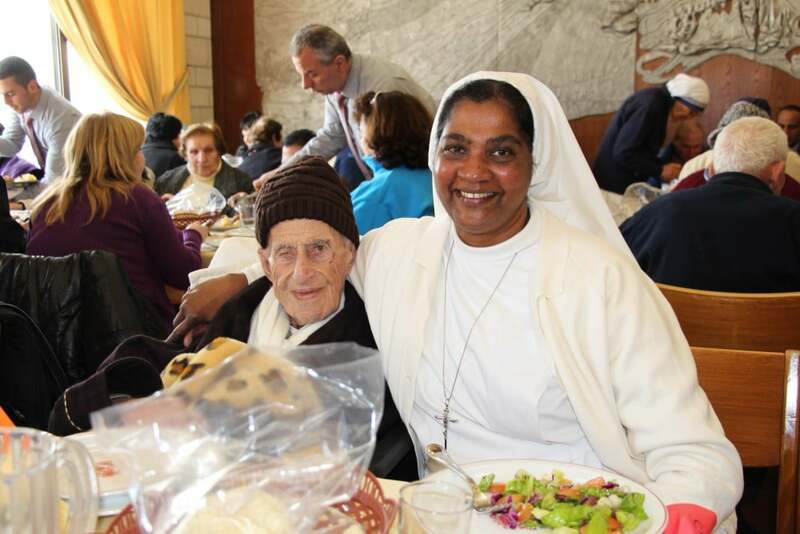 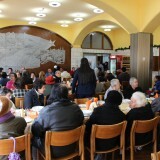 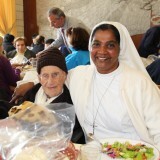 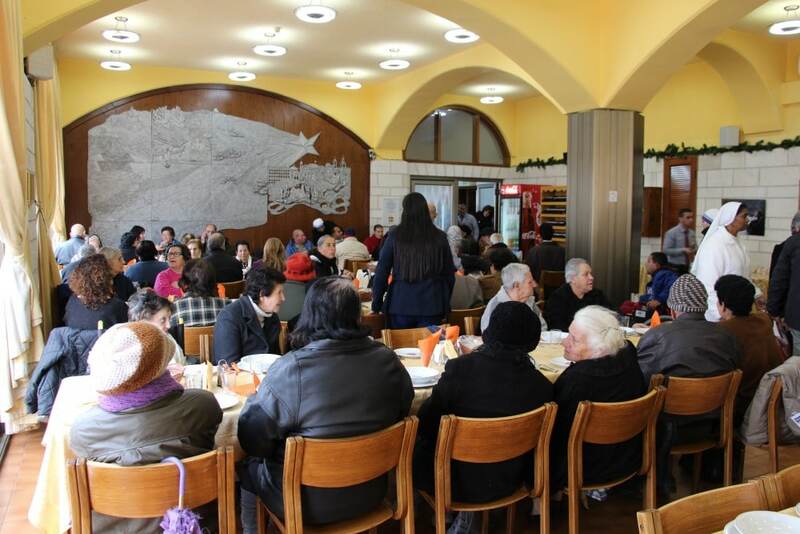 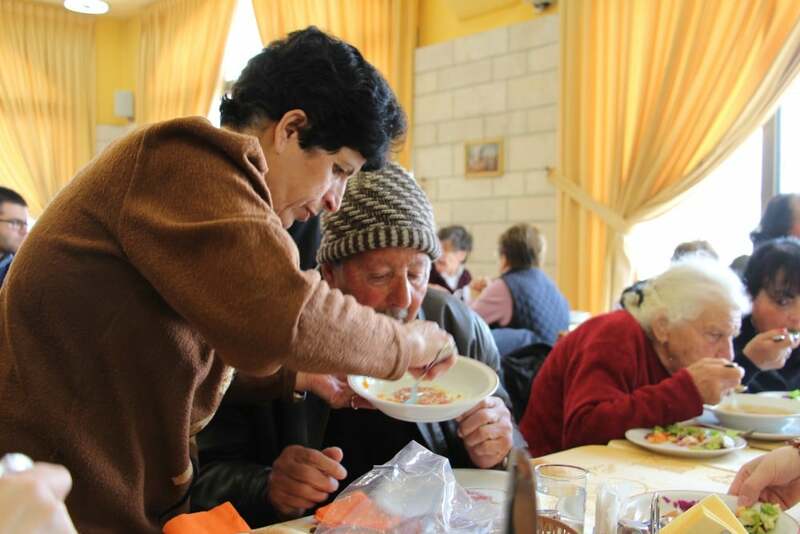 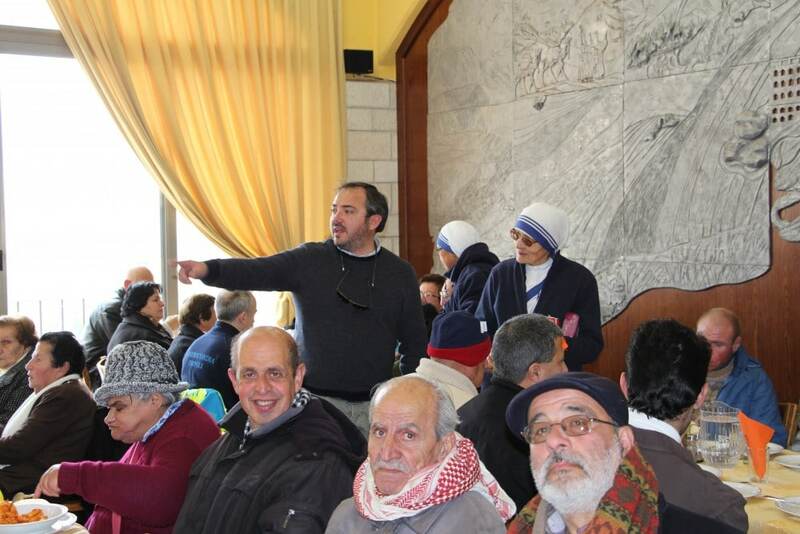 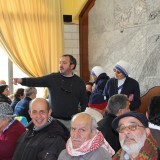 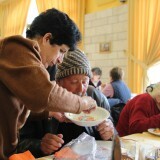 After the celebration elderly, sick and poor met at the Casanova Hotel, the guesthouse of the Franciscan friars in Bethlehem, to share the joy of a meal offered by Association pro Terra Sancta. 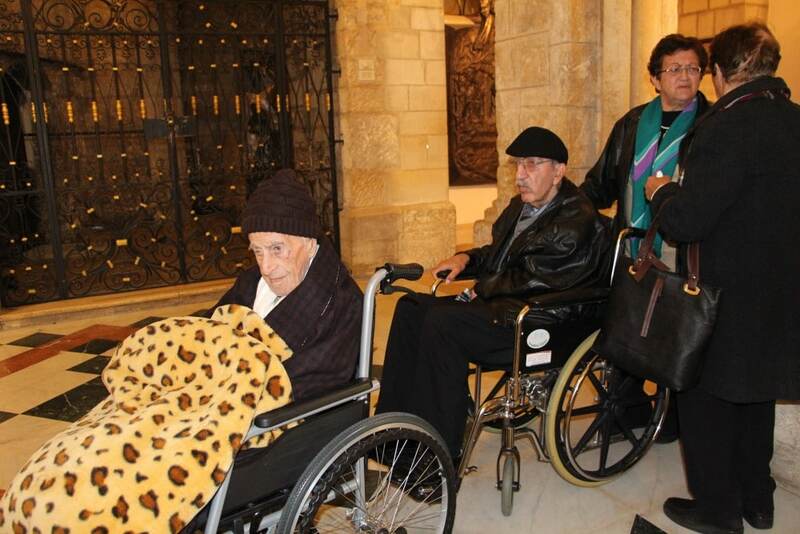 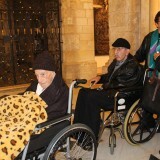 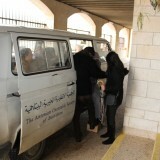 Help the elderly of Bethlehem!